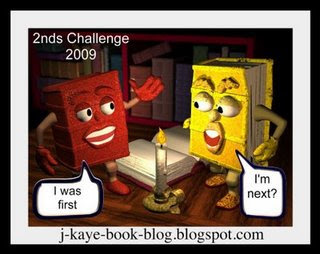 J. Kaye from J. Kaye's Book Blog is hosting this one too (boy, will she be busy in 2009!). 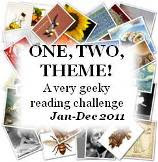 The 2009 Seconds Challenge requires us to read 12 books by authors we've read only once, between 1 January and 31 December 2009. For all the details, check out the challenge post. LOL! Yes, I think I am going to be super busy, but oh won't it be fun? Glad you have you join in the madness too. :) Book challenges are a blast! I can't resist - and I think I'm signing up for 99% of the ones you're hosting too! I love these challenges! Joy at Thoughts of Joy takes the credit for most of them. She originally hosted this one and the 1st challenge - along with a few others. She decided to not host challenges this coming year and I took over the ones I'd planned on joining. I'd planned on 2009 to be my year of book challenges....and by the looks of it, the plan worked...lol!